Belgrade, capital city of Serbia, has introduced an innovative solution to enable motorists to quickly find a free parking spot. Nedap is selected by the public utility company Parking Servis for its SENSIT system. Dynamic signs along the streets display the real time parking availability. Over 3,500 parking spaces within time restricted parking zones will be equipped with this smart parking solution. With the implementation of smart on-street parking spaces, Belgrade presents itself as the leading city in Eastern Europe for safer, more efficient and environmental sustainable traffic solutions. Belgrade is the capital and largest city of Serbia with a population of 1.7 million people. In this densely populated city, traffic congestion increases due to a growing number of vehicles and a limited number of parking spaces. 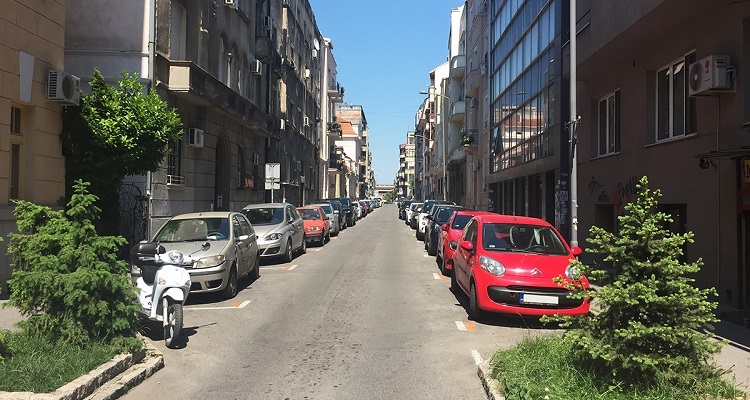 The public parking company Parking Servis is responsible for the full on- and off-street parking infrastructure in Belgrade and manages, exploits and maintains more than 32.500 public parking spaces in the city. Motorists looking for an available parking spot in the streets of Belgrade causes heavy traffic congestion and creates unsafe situations. To make parking easier, Parking Servis introduced wireless bay-mounted sensors that provide insight in the real time usage and occupancy of on-street parking spaces. Accurate information allows motorists to quickly find a spot to park. Less search traffic and a reduction of emissions will result in a better parking experience. The entire implementation consists of three phases for 3,500 parking spaces, in time restricted parking zones in the historic city center of Belgrade. After intensive assessments Nedap, leading specialist in vehicle detection and identification technology, has been selected for its SENSIT system. SENSIT consists of wireless bay-mounted sensors that detect the vehicle occupancy status and the parking duration of individual parking spaces. The system deploys the fastest and most robust wireless network of sensors that processes reliable parking occupancy data, which is essential in on-street parking applications. Supporting an open data policy, Nedap allows Parking Servis to use the parking data based on the current and future needs for parking solutions. In the first phase of the project, 850 parking bays in the Njegoševa Street area in Belgrade are equipped with the wireless in-ground sensors from Nedap. This SENSIT system, including the Variable Message Signs, is implemented by the Serbian companies Novatronic and Elektronet. Parking payment in Belgrade can be done via mobile phones. Following this year’s SENSIT integration with the central parking software application drivers the option of a customized smart phone app for navigation to the closest available parking space will be offered as well. This will enable Parking Servis a better and more efficient real time control of the parking usage. “This project in Belgrade is one of the most prestigious projects in European ITS and Smart City industry today. For that reason, we are very pleased that Parking Servis, a respected public parking company, recognizes the quality of the SENSIT system and confirms its position as the leading system for on-street parking applications. The professional and energetic approach from Parking Servis and the implementation partners in this project is very impressive,” says Ido Wentink, Business Development Manager at Nedap Mobility Solutions.